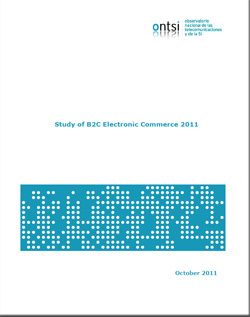 The Spanish B2C eCommerce sector showed a positive behaviour in 2010. The total volume of the sector was estimated in €9,114 million, which represents a year-on-year increase of 17.4% compared to 2009, the greatest year-on-year increase over the last years. The most important variable in the equation is the increase in the average expenditure per purchaser that has risen from €749 in 2009 to €831 in 2010, an increase of 10.9%. More years of experience in online purchasing. Increase in the number of regular purchasers. Consolidation of channels of online-only sales. Growth of new purchasing channels like online auctions. Increase in the number of direct accesses to purchase channels. Increased incidence of ad-hoc payment methods like PayPal. The sectors leading the online business continue to be those related to tourism and entertainment (transport tickets, accommodation bookings and tickets for shows) as in 2009. In 2010, sectors that where minority sectors until then experienced an important growth in terms of number of purchasers compared to 2009. These were clothes and accessories (+9.9 p.p., reaching 27.7%) and food and general hardware (+6.3 p.p., reaching 16.3%). The level of satisfaction with the Spanish eCommerce offer is positive and improves as products and services increase their popularity. However, consumers are getting more and more exigent and increasingly use new channels for claims and take into account quality seals. The need or preference for physical contact with the product continues to be the first cause of the rift with eCommerce. Problems related to the perceived security of the channel are still an important barrier, though to a lesser extent than in previous years.